Step back in time and experience the Kent countryside in a classic car. 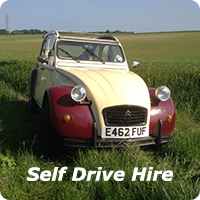 Thank you for taking time to look at our Classic Car Hire web site. I hope you find it in some part informative and that you may consider hiring one of the vehicles on offer. As you will quickly see we have decided to rent out interesting cars of the 60's and 70's. We unfortunately have no Ferraris or Lamborghinis on offer but on the brighter side we have priced day hire at a rate that will be affordable regardless of whether you want to go for a ride in the country for fun or use the vehicle for a special event or wedding. It needs to be born in mind that although the cars are maintained regardless of cost they are 40 to 50 years old and even when new were not as reliable as a modern vehicle. Owing to the nature of this business we do reserve the right to offer an alternative vehicle or full refund if we consider there may be reliability issues. 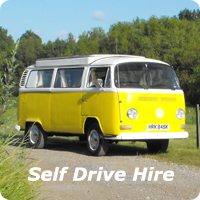 Why do we hire Classic Cars? The main reason to hire classic cars is to give people an idea of what driving was like half a Century ago. As we get older it is all too easy to forget that not so long ago heaters were an optional extra and cars came with starting handles! Everyone interested in cars and motorcycles will have their favourite year range. We have taken the two decades, (60's & 70's), because there were the last years when manufactures desperately wanted their vehicles to be distinguishable from the competition and not designed to all appear more or less the same. People were fiercely proud to be a "Rover" or "Vauxhall" owner. Now days Rover is an Indian company and Vauxhall, Renault and Nissan are remarkably similar. The world has moved on and this is a little opportunity to rewind time. Driving a classic car is not something that most people do every day and is likely to be an experience not quickly forgotten. Please remember that some of these vehicles are small by today's standards and may not be suitable for some people. 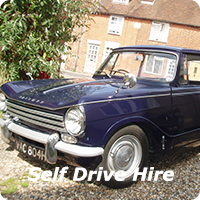 Please complete these boxes and we will phone you to confirm your classic car booking. Confirmation response time is normally with-in one hour during business opening times. 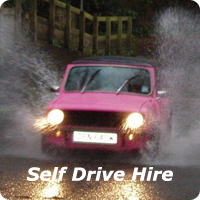 The first £25 of the hire charge is taken at the time of booking. Extra costs apply for penalty points on your licence and for drivers under 25. There is a deposit of £500 for all classic car hires, this is to cover the excess on your insurance. Other terms and conditions may apply please contact us for details. Click Here to download our full terms and conditions.